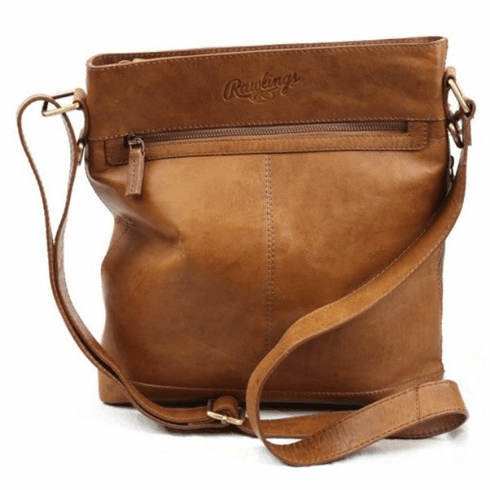 Rawlings Leather Baseball Crossbody Purse. Choose tan or black leather. ~ Measures appx. 11.5" x 13" x 2.5".